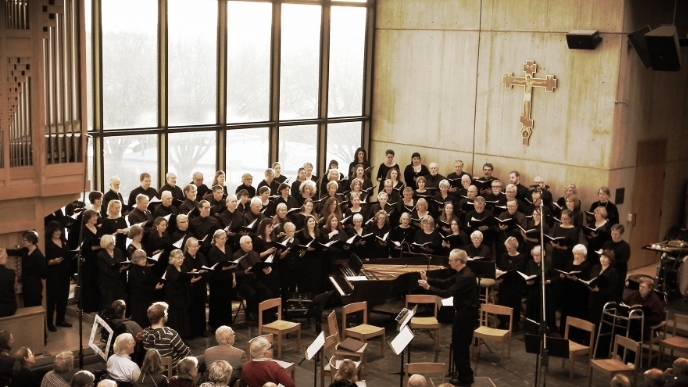 The mission of the Burlington Choral Society is to be the premier large chorus in the state of Vermont, uniting and transforming its members, while engaging the community, through the performance of unique and challenging choral works. The Burlington Choral Society (BCS) will continue to evolve as an organization by honoring, and learning from, its experiences and by fostering innovation, both in performances and in public educational events, to inspire its members and the community-at-large. The BCS will seek to maintain a diverse active membership of 80 to 100, with a male/female ratio of approximately 40% men and 60% women, such that the musical aspirations of its membership and Artistic Director are able to be fulfilled. The BCS will collaborate with artists, cultural/social leaders, and organizations throughout the region to provide opportunities and resources for its members to expand their musicianship. The BCS will achieve its mission through the performance of no fewer than two major concerts each year. Finally, the BCS will build a strong financial foundation, ensuring the continuation of the BCS for future generations of singers and audiences.